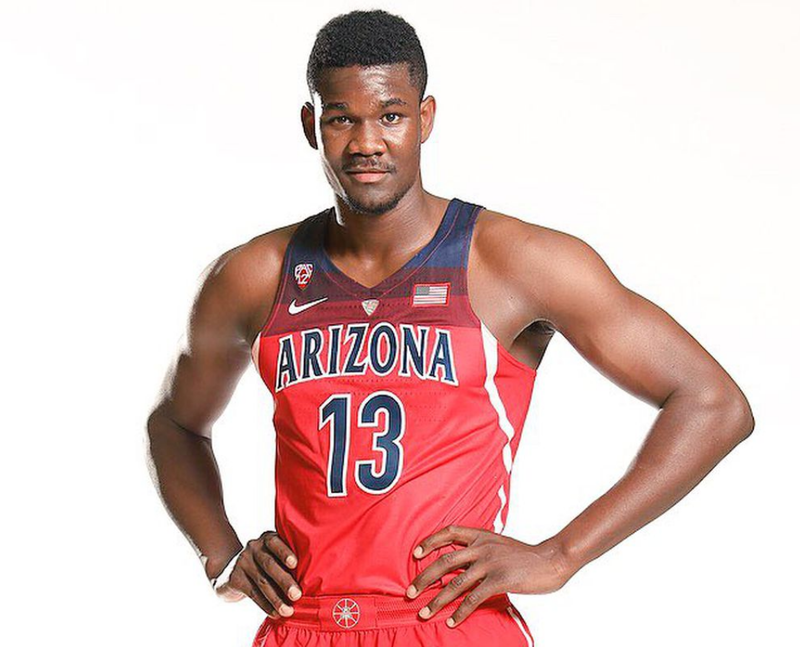 DeAndre Ayton is an elite level center prospect who has all the makings of an NBA Star. He needs to learn to play with a better motor and consistent intensity but he's on a trajectory to being an elite NBA center. For a few years he was considered the top player in this class, now he's fighting to regain that top spot - and looks like a lock to be a top 5 pick in June. Ayton has an ideal build for a basketball player with great height, broad shoulders and good coordination. He gets up and down the floor with fluid motion and has excellent suddenness and burst, to go along with a lot of power. He's a quick leaper who gets above the rim with strength. All of these traits make him an intimidating presence in the paint on both ends of the floor. He has the type of strength and ability to get to the rim whenever he sets his mind to it. On the defensive end Ayton is a committed rebounder and defender who clogs the middle and makes drivers think twice about going to the rim. He projects as a really good shot blocker and interior defender at the NBA level, who will be good by default and could be great if he learns to bring the energy every possession. He's got a thick base and knows how to get leverage. He does a nice job of fighting for rebounds and can rebound out of his area, showing off his length and quickness. On offense Ayton is at his best throwing his weight around in the paint but he is also a very capable outside shooter who can hit the three point shot and has excellent shooting form. He's skilled with the dribble and can pass the rock. His post moves are advanced for his age and he's a natural on the court. It's rare to find a player with true center size who is so highly skilled. His footwork, ball handling and shooting touch are all impressive. There's not a lot of negatives here. One knock against Ayton is that he doesn't always play with enough intensity. Does he have the passion and desire to be great or will he coast along on natural talent? He needs to continue to develop his body and get into peak shape. Can be a bit heavy footed at times and can get winded. Doesn't have the best hands and doesn't always secure the rebound or catch the pass well. A poor man's Embiid. Longer Derrick Coleman.